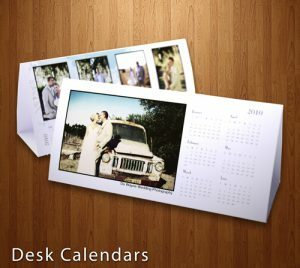 This basic 6-months-a-side calendar is an ideal gift idea or promotional item. Add images, text and/or company logo. Studio22 Album Maker software allows you to place your images or text on any area of the calendar. Make changes as you work and simply drag & drop another backdrop if you want to see how it will look. Use 'effects' to change the colour of your calendar on the fly. Each side is 210x98mm. The product is supplied flat (pre-folded) with an adhesive strip to secure once assembled. Printed on Genuine Photographic Paper for the highest print quality available - effective May 2014. This product can be ordered mid-year as we include 6 months of the following year. For example: if you order in March, you receive a valid calendar for the last 6 months of that year plus the first 6 month of the following year. 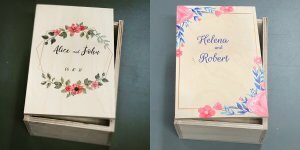 Bulk orders can be printed on our Digital Press at as little as R5 per unit.